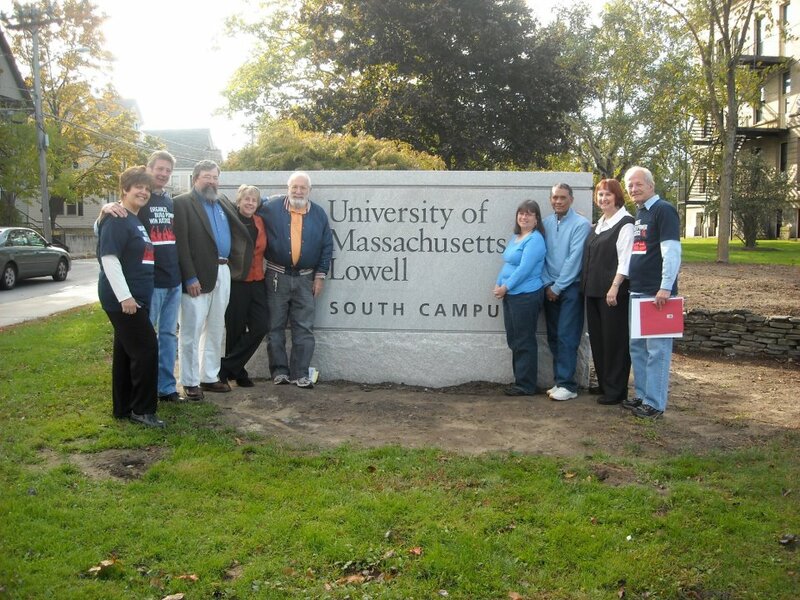 UAF-UAW is a labor union representing adjunct faculty at the University of Massachusetts (Lowell campus). WHEN PEOPLE OUTSIDE academia think about life inside it, we often imagine tweedy tenured professors who are blithely innocent of all earthly concerns. Yet more than 40 percent of the teachers at US colleges and universities are adjuncts — part-time faculty members who are paid by the course. Like TaskRabbits and Uber drivers, these instructors are in the vanguard of an unpredictable freelance economy. 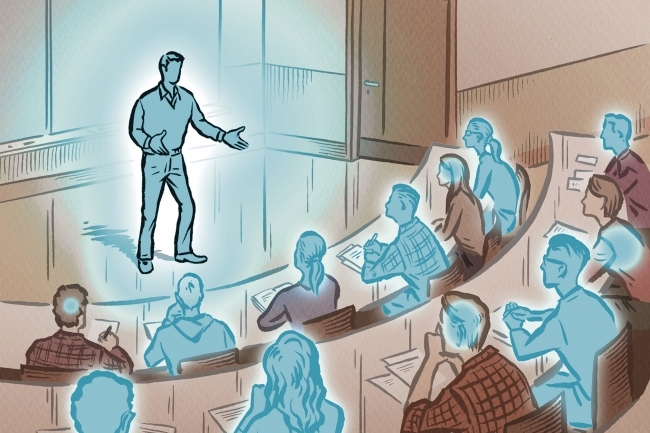 Adjuncts on more and more campuses are responding in an old-fashioned way: by turning to a labor movement that, despite its flaws, is their best option for handling specific types of grievances. Amid a national freak-out over the cost of college, marginally employed professors aren’t obvious objects of sympathy. 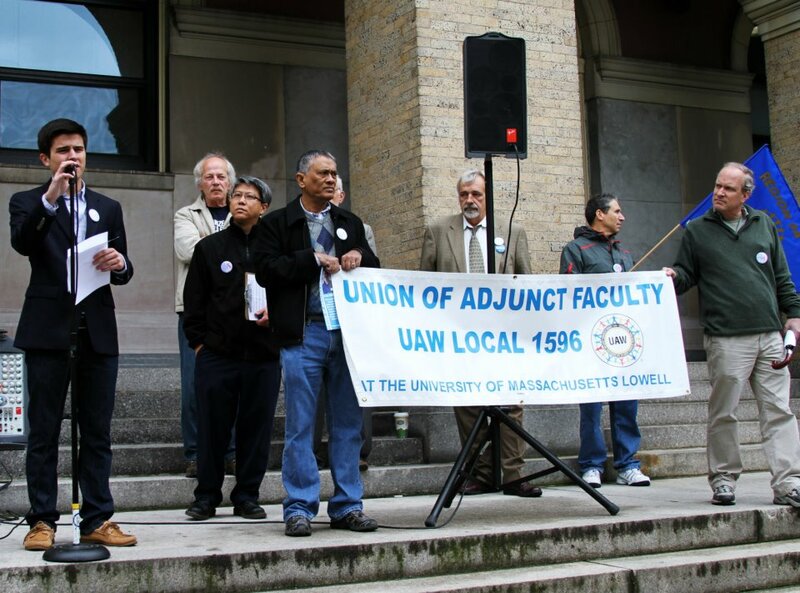 Yet the surge in union activism among adjuncts reveals cracks in the American higher-ed model that universities would just as soon paper over. 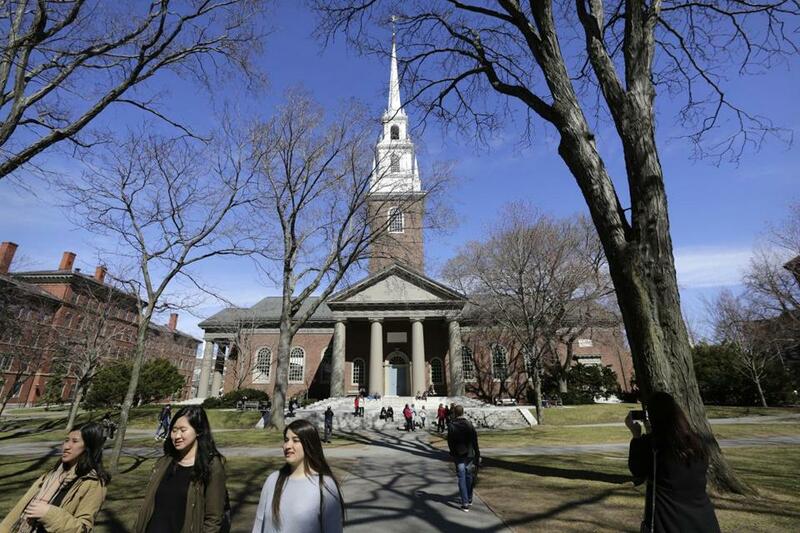 via Adjunct professors unionize, revealing deeper malaise in higher ed – The Boston Globe. Read more »Posted in In the News. If one were to analyze what goes into being an inspiring teacher in this sense, the list would include enthusiasm, charisma, a capacity to clarify and make sense, humor, kindness, and a genuine interest in students’ progress. Much of this is a matter of natural capacity; which implies that teachers are born, not made; and this in turn explains why teaching is so often described as a vocation. via What Makes a Good Teacher? – The Chronicle of Higher Education. Read more »Posted in Opinion. 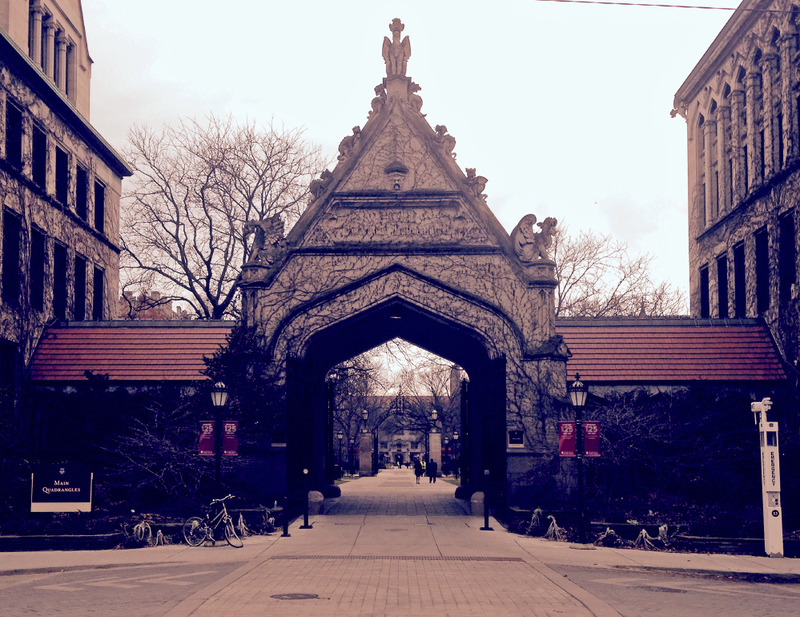 An overwhelming majority of non-tenure-track faculty at the University of Chicago have voted to join the Service Employees International Union Local 73 — becoming the first faculty at a Chicago-area institution to embrace that union’s 2 1/2-year-old national “Faculty Forward” movement. via U of Cs non-tenured faculty vote to unionize. for more information on hours and availability of services. Read more »Posted in Did You Know?. Read more »Posted in Events, Meetings, UAF-UML News. The anti-worker forces that are trying to break our union just got a big break from the United States Supreme Court. This morning, the court agreed to hear the case Friedrichs v. California Teachers Association during its next term. Make no mistake: This case is not about individual liberty or the First Amendment. It is an outright attack against unions to prevent us from representing our members and using our voices to fight for our families, our schools, our colleges, our healthcare facilities and our communities. We’re preparing a national campaign to mobilize our members and communities across the country to fight for an America where everyone’s voice matters. Sign up to join when we launch later this summer. This case would undermine our unions and challenge nearly 40 years of precedent—and the court agreed to hear it barely a year after it dealt a blow to workers with its decision in Harris v. Quinn. In fact, the conservative justices on the court used the Harris v.Quinn ruling to invite cases like this one, showing just how political they really are. Friedrichs is being argued by the same law firm that tried to destroy the Affordable Care Act, and it is fueled by the same ideological forces whose lobbyists talk about driving a “fatal spear through the heart” of our unions. In the end, this case comes down to a fundamental question: Do unions have a right to collect a fair share from the people we represent, to ensure that we’re able to speak for all workers? The attack on labor by those who don’t want working families to have a voice has intensified. It has moved from the statehouse to the courthouse. But our affiliates understand that engaging our communities and our members, and organizing new members, are the key to repelling those attacks and growing a strong middle class. I’m proud that, at times like these, the AFT is still growing. We passed the 1.6 million mark last summer, and that number continues to rise through the efforts of local affiliates like the Washington Teachers’ Union, which has worked to change the hearts and minds of 1,500 fair-share payers so they will become full members; efforts of workers like those in the Alaska Nurses Association, who voted to affiliate with us; and efforts of state affiliates like the Illinois Federation of Teachers, which added units from tenure-track faculty to court reporters to its ranks, and like AFT Michigan, which has held strong despite the so-called right-to-work law in place there. Educators at charter schools have voted to join our union this year, as have educators in states without collective bargaining, like Louisiana and Texas. This much is clear: Workers across the country want a collective voice on the job. While anti-union politicians like Wisconsin Gov. Scott Walker try to silence workers, we’re preparing a unionwide, nationwide conversation to engage all 1.6 million AFT members on the challenges they face at work, their aspirations, and how together we can fight the obstacles and reach those aspirations. Commit to joining our campaign to take back our power and fight forward, when we launch later this summer. As these attacks keep coming, we’ll keep organizing—because workers’ organizing and collective bargaining rights are the way we can rebuild the middle class, create opportunity and bridge income inequality in this country. I hope you’ll commit to take action with us. Please enjoy this video, which will play shortly. Read more »Posted in Events.